So how does your cabbage grow? In beautiful curving form, of course! I love to watch the evolution of cabbage, it really is an incredible slow motion show. According to the weather app we should have mild temps for the next two weeks. If that holds, the cabbages will have a chance to develop. Last year we went from too much rain to too much heat. This year we have had late frost and late rain. The Winter frost exploded many of the cabbages, which is why we didn’t have them in the CSA shares as much as I would have liked. You can see in this photo of a red cabbage how the tightly formed head just bursts open. Very pretty for a photo, but no good for eating! We could use some mild Spring weather for a few weeks. If it gets really hot it stresses the plants. As it is we are pushing it with Spring Cabbage because of the heat. 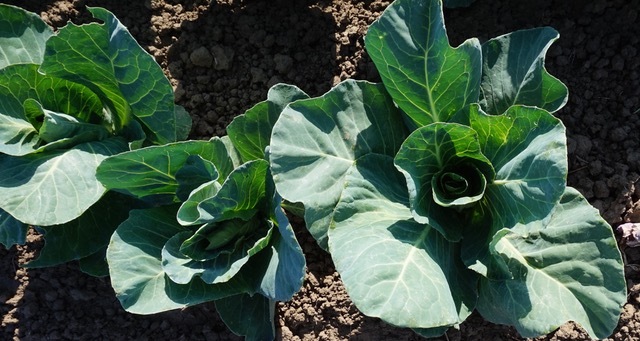 We might get lucky this year, and have cabbages later into the season than we normally expect.